I’ve been taking swimming classes and am eager to spend many hours this summer somewhere close to a beach or the pool. In between practicing the breaststroke and perfecting my freestyle technique, I’ll probably be covered up in the shade, with a big floppy hat and a tall glass of strawberry lemonade with my nose in a good novel. Who’s with me? 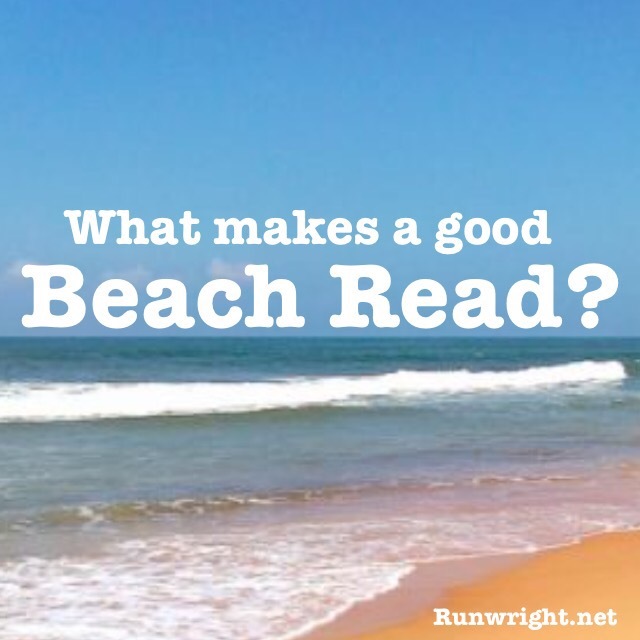 What kind of book do you bring along for a day on the sand? A good beach book has to be interesting enough to keep your attention even while you’re surrounded by scantily clad bodies and gorgeous water views everywhere. Light fiction. Not fluffy reads, but nothing too intense to distract from an otherwise relaxing experience. No scary water scenes involved. I don’t want to be reading something about a shark attack right or a drowning scene before I go back in the water. Bonus points for books that skip the focus on physical appearance – the last thing you want to do when you’re on a beach, as exposed as you’ll let yourself be in public, is read page after page that makes you think about your body. Chapter 1, entitled A Thing’s Not a Thing until You Say It Out Loud, has only one sentence. I AM MARY Iris Malone, and I am not okay. This book is sheer brilliance. I wanted to read it because of the cover and title, but I was intrigued by Mary a.k.a. MIM from the beginning. What would you do if your mother was sick somewhere, and you just found out that your father and (wicked?) stepmother have been keeping you away from her? You’d go to her, right? What if you were just a teenager and your mother was 947 miles away? What if this trip was endangering your health in more ways than one? Could you do it? Could you stand not doing it? Alex is an ostrich. He has a brain tumor which means that people treat him differently. It also makes him smart. And he has no filter, so as a first person narrator, he gets to say whatever he thinks. And what he thinks is hilarious and offensive. Read my full review here. Cecelia is living the perfect housewife life until she finds a letter her husband wrote for her to open only after he dies. When she tells him she’s found the letter, he starts acting weird. What is her husband’s secret? And how does it affect everyone else. Read my full review here. I am looking forward to receiving this book in a week or so but right now, my interest is piqued! It’s a new release and already, it’s racked up lots of great reviews on Goodreads. I haven’t read this yet but it has good reviews and the first paragraph hooked me so it’s definitely on my list. Check out the first paragraph and tell me you don’t want to keep reading. I'm a sociopath. I look normal, but I'm not. I'm smarter, better and freer, because I'm not bound by rules, law, emotion, or regard for you. Those are the 5 books I’m recommending for upcoming beach/poolside fun. More recommendations to come as I make my way through my ever-expanding reading list. And if you don’t think you have enough time to finish a book, check out these ideas on how to make time for reading. Have you read any of these? What’s on your list right now? I’m on Bloglovin, Instagram, Twitter. **This post includes Amazon affiliate links where I get a small commission if you click the book images and purchase any of my recommendations.